Bathe your Reptiles, Birds and Small Animals in warm and soothing light. Get an infrared bulb and easily make a hospital cage for sick birds. 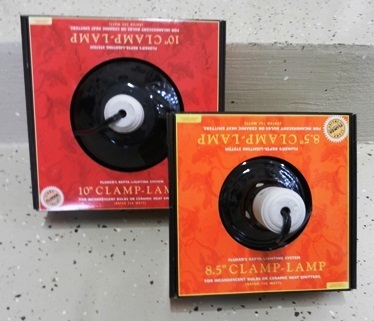 For use with ceramic heat emitters or incandescent light bulbs. Features heavy-duty metal reflectors with a ceramic socket and spring-loaded, swivel-head clamp. Sizes include: 5.5", 8.5" and 10"